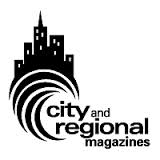 Print advertising may be atrophying, but it’s still important enough to be the overwhelming revenue stream for city and regional magazine publishers. According to the latest annual survey of media in this category, conducted by FOLIO last month, most publishing titles continue to rely on print for the vast bulk of the revenues they generate. But before we look at FOLIO’s figures today, let’s see what’s happened over the past decade or so. Print advertising revenues in this segment of the publishing industry represented over 95% of overall revenue as late as 2005. It’s dropped since then – but it hasn’t declined all that much, all things considered. Compared to Folio’s 2013 survey, print advertising has declined slightly (from ~77% of overall revenues in 2013), but paid subscription revenues are down sharply (from about 10%). Within this publication category, there are some differences between large and small publishers. Larger brands (those generating more than $5 million in revenues) rely less on print advertising; it’s only about 65% of their earnings. With smaller publication titles, it’s been significantly more challenging to diversify away from print. They’re still relying on print ad sales to generate more than 80% of their revenue. And that percentage hasn’t changed in five years. Right now, digital media accounts for only about 9% of total revenues generated by the larger media properties in this segment. But managers at these publications anticipate that revenue from digital platforms will continue to grow at a faster clip. In fact, they foresee a jump of nearly 30% in digital media revenues this year alone. The FOLIO report notes that the increase in digital revenues is coming from better monetization strategies for existing products, rather than the introduction of new ones. Considering why publishers in the city and regional magazine category continue to rely on print versus other revenues, I think it goes back to the idea that consumers don’t consider these properties strong sources for “instant” or “breaking” news. Behaviorally, there’s more of a propensity to browse through story topics in a more “linear” fashion. The emphasis on human interest and region-centric news also aligns more with a more traditional approach to journalism, where most every news story tends to have some sort of a “human” dimension. Quite a few stories are long-form journalism, or ones that feature high-quality photography. Far fewer of them are time-sensitive. They lend themselves to a more leisurely perusal. Even so, it would seem that broader trends regarding the way consumers are interacting with media — and the platforms they’re using to consumer them — destined to overtake the city/regional magazine category. More details on the FOLIO research results can be found here. ← Consumers complain about marketing-oriented e-mails — yet they still read them. And so we have more evidence that large newspapers were foolish to trash their society sections and local “soft” news. For example, I think some newspaper editors decided that their “society” ink was racist and elitist. So they dumped it. The result: small publishers jumped in to fill the void. Controlled-circulation magazines and papers popped up that were more than happy to cover all the local parties and society goings-on. They ran thousands of pics of locals having fun at all sorts of events. The inevitable result? Everybody picked up a copy to see themselves and their friends. 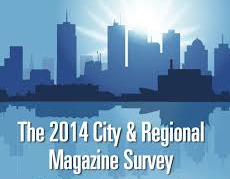 And the pages filled with ads for local retailers, realtors, and other community-owned businesses. Ka-ching! Sure, the web has changed the publishing landscape. But it’s also true that many papers shot themselves in the foot.